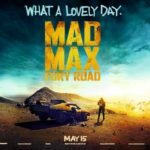 There are two huge surprises to be found in the opening hour of this eleventh trip to the basement of the FBI headquarters; one is the fact that it even exists at all after the terrible tenth season, and the second is a disturbing narrative twist that is right up there with the very best in the show’s history. 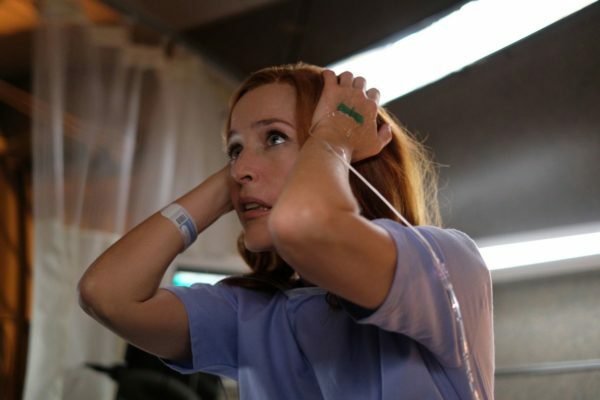 Series creator, Chris Carter, who was responsible for the lamentable bookend episodes from the 2016 mini-series, returns to write and direct My Struggle III, which has the unenviable task of making sense of the mess that was left when Scully was stranded on that bridge in the midst of an impending apocalyptic plague. There’s a moment early on in which David Duchovny’s Fox Mulder, once the pricked ears enthusiast, now replaced by a tired renegade, pleads “I just want someone to tell me what the hell is going on here”, and so Carter obliges with a wonderful prologue in which he repositions the Cigarette Smoking Man (the perennially brilliant William B. Davis) as the ‘bad guy’. It’s a sequence that drags the show towards relevance, with its sociopolitical imagery, but more importantly, simplifies that ridiculously exposition heavy plague arc that bogged down season ten. My Struggle III still has its clunky moments, such as Scully waking from a seizure looking as though she’s framed for a perfume ad, but it works hard, and at quite a pace, to course correct the ludicrous plot of the first two My Struggle episodes. 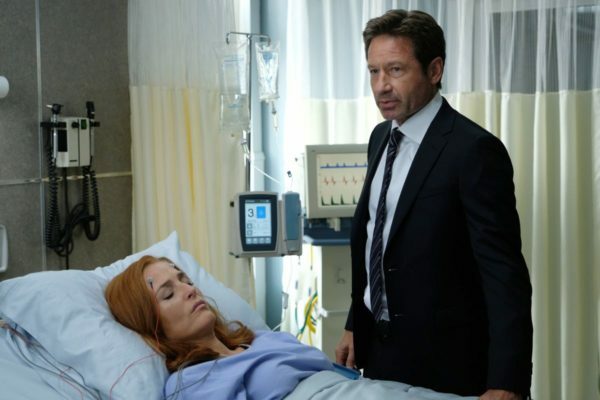 Carter even takes time to poke fun at himself by having an exasperated Mulder become the audience projection, by uttering, “This is insanity” during an early exchange. As for our favourite agents, the show is never stronger than when they’re on-screen together. 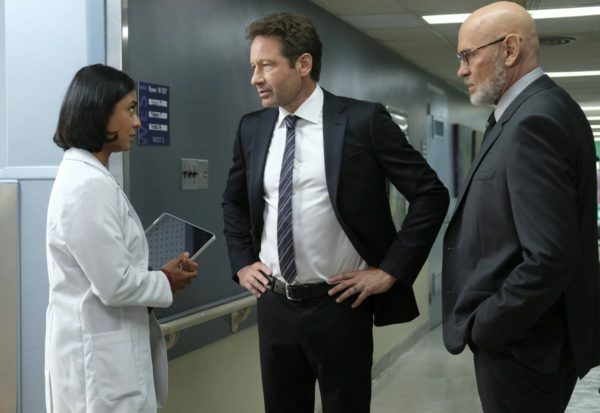 It means that we don’t have an over-reliance on Duchovny voiceover, but more integral to why we still blow the dust off The X-Files after all these years, is that fact that their chemistry has never dulled. Thankfully, this opening hour is spent moving all of the pieces into place quickly, so it doesn’t suffer from the Stranger Things 2 affect of keeping the major players apart. On which, Mitch Pileggi’s Walter Skinner returns to remind us why he was such an intriguing aspect of the original run. His questionable loyalty permeated the strongest seasons of The X-Files, and once again he’s written as a potentially duplicitous traitor. They’re the kind of plot beats that will make fans of the show giddy. My Struggle III is a more polished attempt at the greatest hits than last time around, injecting some biting fake news commentary – “we’ve thrown science out the window in favour of scandal” – as well as dumping Gillian Anderson in a hospital bed [again] for most of the running time, and implanting something alien in her head [again] for the sake of narrative propulsion. But you don’t care, because unlike last time, this feels like The X-Files.